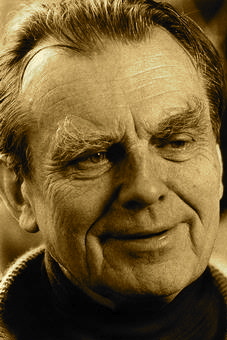 A Year of Being Here: Czeslaw Milosz: "On Pilgrimage"
The only one chosen and visited. We tended toward the Place but no signs led there. By a narrow river humming at the grotto. Always comforted by the brightness of the day. With the world that will pass in a twinkling. "On Pilgrimage" by Czeslaw Milosz, from New and Collected Poems: 1931-2001 (Ecco, 2003). Translated from the original Polish by Czeslaw Milosz and Robert Hass. Text as posted on Mindfulness Hub (04/12/15). Art credit: "Pleated Plains," Polish landscape photograph by Krzysztof Browko.